If you’re buried in debt, you may think that the only way to get out is by filing for bankruptcy. You can now become debt free with the help of companies such as Bankruptcy Canada. Bankruptcy in Canada helps honest debtors with debt relief when they can’t pay it back. This is your best route when you are thinking of becoming debt free. Bankruptcy Canada often requires you to sell some of your assets or settle the equity in assets to pay unsecured creditors like banks, credit card companies, utilities, or payday lenders. Before we get started on ideas designed to help you become debt free, we would love for you to like our growing Facebook page right here! Be sure to follow us on Instagram here. Bankruptcy can seem like a frightening prospect, even though it can be the first step in improving your quality of life and your finances. This should help inspire you in taking the steps needed in becoming debt free. 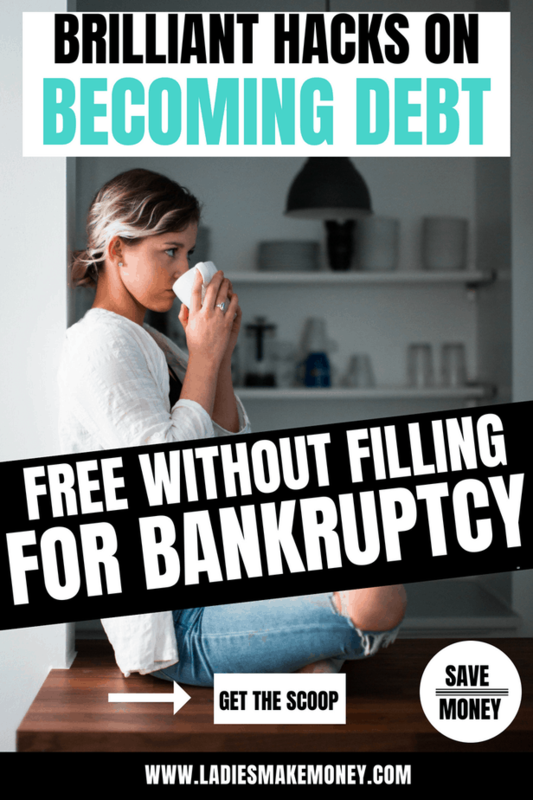 What steps can you take in becoming Debt Free? Acknowledging your debt and working towards is the first step to help you or anyone wanting to become debt free. Bankruptcy will only be on your credit history for a limited time. After six years, lenders won’t be able to see it, and in that time, you can take steps to rebuild your credit rating. There’s also an exemption on equity on your home, and unless they do a credit check, most people will not know you were bankrupt unless you tell them. In some circumstances, bankruptcy is the best way to get out of debt. But there is another way to achieve the same results. It’s called a consumer proposal. If you are thinking of becoming debt free, give the consumer proposal a try. In a consumer proposal, you offer your unsecured creditors a reduced total payment that you can pay back in reasonable monthly installments. These installments can last up to five years and collect no interest, which will make a big difference compared to debt consolidation loans. Although becoming debt free can take a while (depending on how much debt you have), working on it with the best tools available is a start. Debt consolidation loans may save you interest and buy you some time, but only a consumer proposal reduces debt and stops interest altogether. A bankruptcy trustee, now known as a Licensed Insolvency Trustee, can help you with a consumer proposal in order to become debt free. They can explain bankruptcy versus consumer proposals and are the only professionals who can file for you. Toronto bankruptcy trustees like David Sklar & Associates bring experience and compassion to the insolvency process. In addition to consumer proposals, they can help with bankruptcy in Toronto, credit counseling, and debt management. Debt professionals such as David Sklar & Associates are integral to the insolvency process. Talk to them to start the process of becoming debt free. There is only one way to reduce your debt without going through bankruptcy and giving up some of your assets. A consumer proposal can reduce your debt by up to 80 percent and stop interest payments. Get all the filing hacks you can get about declaring bankruptcy. If you’re struggling with debt, get help with your consumer proposal from a bankruptcy trustee. When it comes to your finances, you should have all the answers before you decide. We have touched a lot about tips that help with simple debt free living, or even how living on a tight budget may not be a bad thing after all. 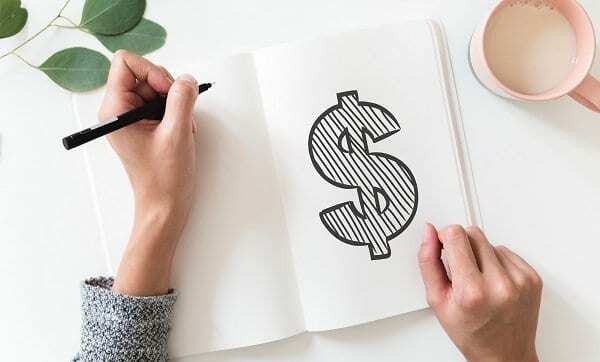 They are a few things you can do in order to maintain a debt-free lifestyle and avoid sticky money situations in the future. Grow and increase your savings account as much as you can. This will help you stay away from situations where you will need to declare bankruptcy again. You can grow your savings, by finding ways to increase your income. Another way to main a debt-free lifestyle is to find ways to make money fast to pay off your piling bills on time every month. And don’t be afraid to use these online shopping hacks to become debt free sooner. Did you like our tips on becoming debt free. If you are in debt, know that you have options. Be sure to share this post with those in need of help. Don’t forget to pin this post here to your money saving group board. ***We would like to note that this post and most posts on our blog may contain affiliate links. This means that if you purchase something that has an affiliate link, we will get a commission from it. Not all items recommended on our site are affiliate links.